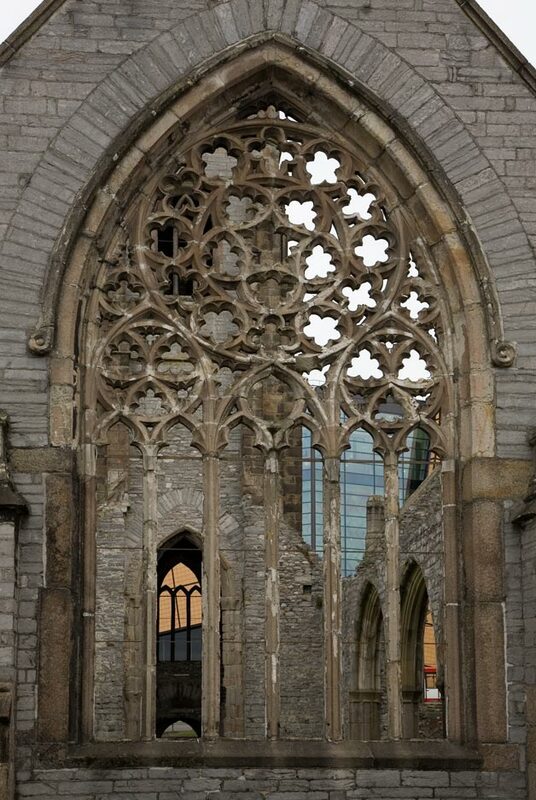 A closer look at the ruins of Charles Church in the centre of Plymouth. The 18th century church is situated on a busy round-a-bout and has been left as a monument to those who lost their lives during the air raids of the Second World War in Plymouth. The church itself was bombed in 1941.